An acoustic neuroma is a benign tumour that develops on the nerves connecting the inner ear to the brain. It represents about six to 10 per cent of all brain tumours. These tumours are not malignant and do not spread to other parts of the body. The first symptoms are a nerve hearing loss, often paired with tinnitus (ringing in the ear). Hearing loss is usually progressive, but can be sudden and dramatic in about one per cent of cases. This hearing loss can be accompanied by balance issues, leading to a tendency to veer or stagger. As the tumours grow, they cause the brainstem (where the brain meets the spinal cord) to compress. If the tumours aren’t removed from these vital structures, it can be lethal. In addition to affecting the hearing and balance nerves, the facial nerve is slowly stretched over the tumour, affecting the function of facial muscles. Other nerves can also be compressed, including the nerve that controls face sensation, the voice box and the swallowing nerves. Acoustic neuroma is generally a slow-growing tumour. In some cases, the rate of growth is more rapid, but this is rare. The growth pattern of acoustic neuroma is extremely difficult to predict. 95 per cent of all acoustic neuromas occur without a family history and are on one side. The other 5 per cent are bilateral (on both sides) and are due to a hereditary condition called Neurofibromatosis type II (NF II). NF II is a rare disease occurring in approximately one in 100,000 people. During a routine hearing test, a one-sided nerve hearing loss can lead to the suspicion of acoustic neuroma, but in most one-sided hearing losses, this is not the case. An acoustic neuroma is best diagnosed with an MRI scan, though some tumours may be diagnosed with a CT scan. Sometimes other tests are required, including balance testing, central hearing tests and preoperative blood tests. Treating acoustic neuroma requires careful consideration by experts. Factors that can influence the treatment include tumour size, growth rate (sometimes estimated from a number of MRI scans over a period of time), the patient’s age and general health, as well as the hearing levels in the affected and unaffected ear. The three major treatment strategies are observation, surgery and radiotherapy, and sometimes combinations of these strategies are used. Surgery is usually recommended for patients when the tumour is compressing the brain stem. If the tumour is small and the patient still has some hearing, surgery to preserve the hearing may be recommended. Small tumours in older patients may be observed in the long term and growth carefully monitored over MRI scans. Other tumours may be treated by radiotherapy. Professor Atlas and the team in skull base surgery are experts in surgical removal of acoustic neuromas. If this treatment avenue is recommended, rest assured that this team will give you the best chance of a successful outcome. All patients are transferred to the Intensive Care Unit (ICU) immediately following surgery. Patients are usually drowsy but awake, and nausea and vomiting at this point is not uncommon. Patients are usually transferred to the ward on the first day after surgery. Balance rehabilitation is supervised by the balance physiotherapist and patients are normally walking independently by the third or fourth day. The team at Ear Science Surgery are experts in the area of acoustic neuroma and skull base surgery. Leading journals of the world have published articles authored by the team and international surgeons visit to learn from our experts. Tumours of the temporal bone. Scott Brown Textbook of Otolaryngology 7th Edition, 2003. Reanimation of the Lower Lid in Facial Paralysis, Aust. J. Otolaryngology., 4: 111-114, 2001. Evaluating the role of Magnetic Resonance Imaging Scans in the Surgical Management of Acoustic Neuromas. Laryngoscope, 110(7): 1194-1197, 2000. Multichannel Auditory Brainstem Implantation: The Australian Experience. Journal of Laryngology and Otology, 114, Sup 27, 46-49. 2000. Giant Medial Acoustic Tumours – The Question of Hearing Preservation. Aust. J. Otolaryngol., 3:2: 136-138; 1998. High Resolution MRI and Asymmetric Sensorineural Hearing Loss. Aust. J. Otolaryngol., 3:2: 182-185, 1998. The Dilemma of Imaging Destructive Lesions of the Petrous Apex. Laryngoscope 108:599-604, 1998. Aggressive Papillary Tumour of the Temporal Bone-New Immunohistochemical Evidence for Endolymphatic Sac Origin. Aust J. Otolaryngol., 3:1: 50-58, 1998. The Management of Dysphagia in Jugular Foramen Surgery. J. Laryngol. & Otol. 110: 144-147, 1996. Endoscopic Transsphenoidal Approach to the Pituitary Fossa. J. Clin. Neuroscience. 3:1:1-4, 1996. Results of Surgery of Tumours of the Cerebellopontine Angle. Aust. J. Otolaryngol. 2:4: 429-436, 1996. Insulated Fisch Dissector in Acoustic Neuroma Surgery. Otolaryngol. Head Neck Surg. 114: 494-495, 1996. The Evolution of the Management of Hydrocephalus Associated with Acoustic Neuroma. Laryngoscope 106: 204-206, 1996. Goldweight Implants in Facial Paralysis. Aust. J. Otolaryng., 2: 193-195, 1995. Facial Nerve rehabilitation. A Colour Atlas and Textbook of the Salivary Glands – Diseases, Disorders, Surgery. Hasby-Wolfe, 308-314; 1995. The Value of the Facial Nerve Monitor in Cerebello/pontine Angle Surgery, Aust. J. Otolaryng. 1: 415-417, 1994. 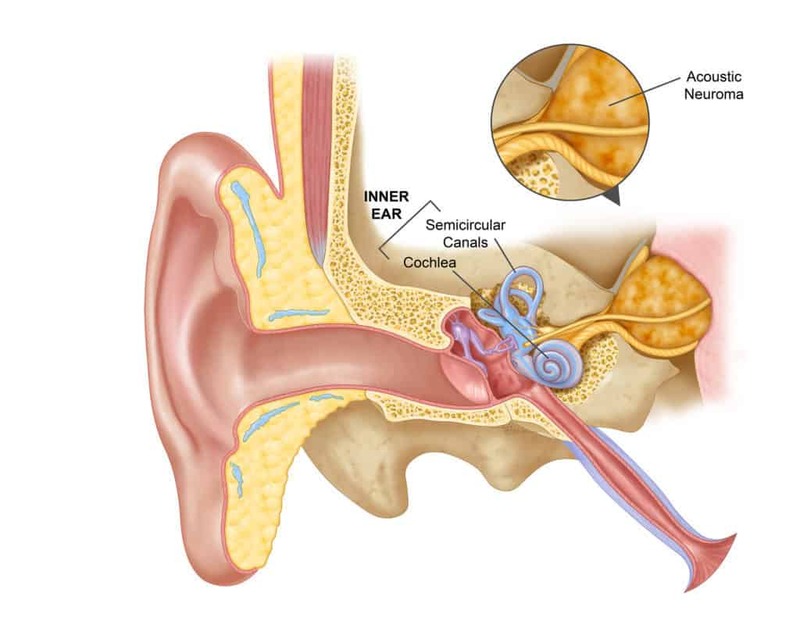 The Value of Hearing Preservation in Acoustic Neuroma Surgery. Aust. J. Otolaryng., 1: 223-225, 1993. Calcified Internal Auditory Canal Tumours. Annals Otol. Rhinol. Laryngol., 101: 620-622, 1992. Hearing Preservation in Acoustic Neuroma Surgery: A Continuing Study, Laryngoscope, 102: 779-783, 1992.